I was practicing yoga poses during my first pregnancy, over 20 years ago. Since then my interest in Yoga restarted when I was taking fitness courses along with the computer courses at Victoria College. I had taken the Weight Training, Walking, Karate and Physical Fitness classes. The college wasn't offering any Yoga classes and through a survey, myself and others requested that Yoga be a fitness class offered at VC (there wasn't a facility in town that offered any Yoga classes that fit my schedule). The first time that Yoga was offered through the college I took it. As with any other fitness class at the college several things happened. In order for one to see if they are indeed making strides towards their fitness goals, you need to make assessments and measurements. At the beginning of the semester we measured weight, height, circumference measurements along the calves, thighs, hips, waist, chest and upper arms. A crunch test, along with a push-up assessment was done. Two fat body measurements were done-one with the pincher calipers and the other with an electronic fat body calculator. A Cardio endurance one mile walk (the Rockwell test) was also performed. Lastly a sit/stretch measurement was conducted. The assessments was a good portion of our grade. At the end of the semester all of these assessments were done to "measure" our fitness level, due to taking the Yoga class. Not only was I feeling better and well rested, from my initial assessment, I confess that I could only do ONE push-up. Through the learning of the different Yoga poses, practicing, etc., at the end of the course not only did I reduce my body fat percentage, lose inches (and increased inches in my arms/calves), but I increased my number of push-ups to 19 (with my age was finally conducted at "average" fitness) and also increased my flexibility in my sit/stretch measurement. Also I decreased my resting heart rate. So that is what I did. After I finished my college course in Yoga in 2001, I took Level I, January 20/21, 2002. Since that time I finishing up the coursework through YogaFit’s Teacher Training programs for the Registered Yoga Teacher 200 Hour Training. I am the first student from YogaFit Training Systems to received my Registered Yoga Teacher (RYT) by successfully completing all required YogaFit Trainings and Workshops for the Yoga Alliance Approved 200 Hour Teacher Training Program. I've been teaching since 2001, I have over 1300 teaching hours on the yoga mat. 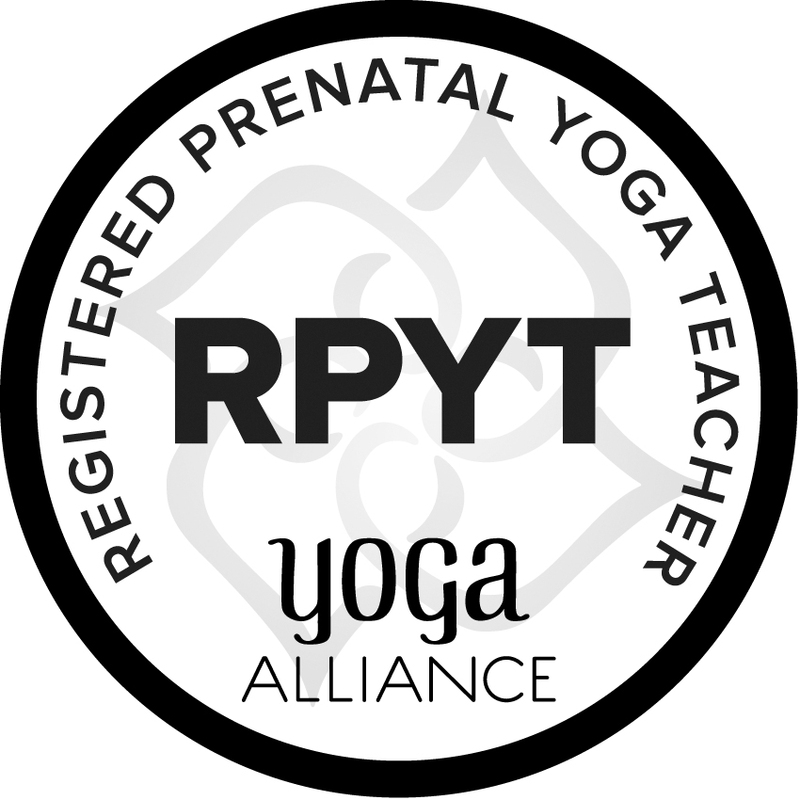 I'm currently working toward achieving my E-RYT (Experienced Registered Yoga Teacher), which will allow me to teach others to teach Yoga. To the right are my trainings and teachers that I've had the pleasure to work with. Yoga for Golfers™ by Katherine Roberts. I currently teach Beginners Adaptive Yoga at my church, Thursday at 10 am, Wesley United Methodist Church, 3515 Helena Avenue in Nederland, Texas. (409.727.3177) Plus Beginners $10 Yoga Mondays at 6:15pm. I've had bunion surgery on my right foot and had a fourth degree sprain on my left foot, so I have some "foot" issues that I'm always concerned about. With the various balancing poses that you do in Yoga, I've become more confident on my "footing" and balance. I never thought I'd be able to do the "Tree and Eagle" poses, much less the "Dancer" pose (I can do them now!). Its been a work in progress, but I'm very pleased with the results! So take a Yoga class....you never know what benefit it may have in store for you! 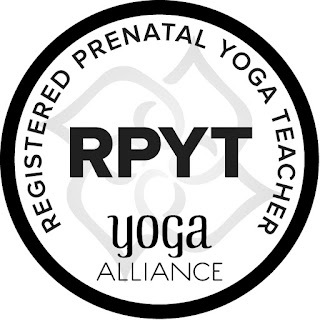 With the birth of my fourth child, I had the previous year taken the YogaFit Prenatal/Postnatal training. I incorporated the training from the class along with techniques that I've learning in Lamaze and Bradley Childbirth classes and taught a prenatal class while I was pregnant. It was a great bunch of ladies and we practiced yoga postures and techniques to help us with the aches and pains of pregnancy and poses to help us through our labors. I'm happy to say that with my labor, I was able to utilize my yoga poses on the Resist-a-ball, to open up my pelvis, and use various other poses while laboring in the bed, and during my walks down the hospital hallway. I was able to have a healthy baby, with an induced birth (pitocin), using my poses, walking, using the birth ball with out any pain relief. The yoga breathing helped the most in distracting the pain away (as we learned in the Bradley Childbirth classes, and which is very similar to what we use in yoga classes too). On another interesting note, during this entire time that I was taking the college class, getting certified, etc., I told my 75 year old mom how I so enjoyed the Yoga. She started taking the Yoga classes offered at her local YMCA. Immediately her balance was better for her, her flexibility and range of motion in her arms increased, and whenever she took her class her blood pressure lowered (she takes medicine for her blood pressure). Balance and flexibility were some of her concerns and to get a bit lowering on her blood pressure was just a bonus. Now mom is a pretty active person. She swims laps twice a week at the YMCA and also tries to walk at least 45 minutes 3 times a week. Not only that but she bowls a mean 160 average! Now isn't it interesting that she noticed changes in her body when she added Yoga to the mix. YogaFit® - Level 5 Teacher Training - Beth Shaw - Continuing Ed for my ERYT. YogaFit® - Anatomy & Alignment - Barbara Nobles - Continuing Ed for my ERYT. You don't have to bend like a pretzel to do Yoga! The Light in Me, Honors and Respects, the Light in You.